Do you like getting FREE stuff? 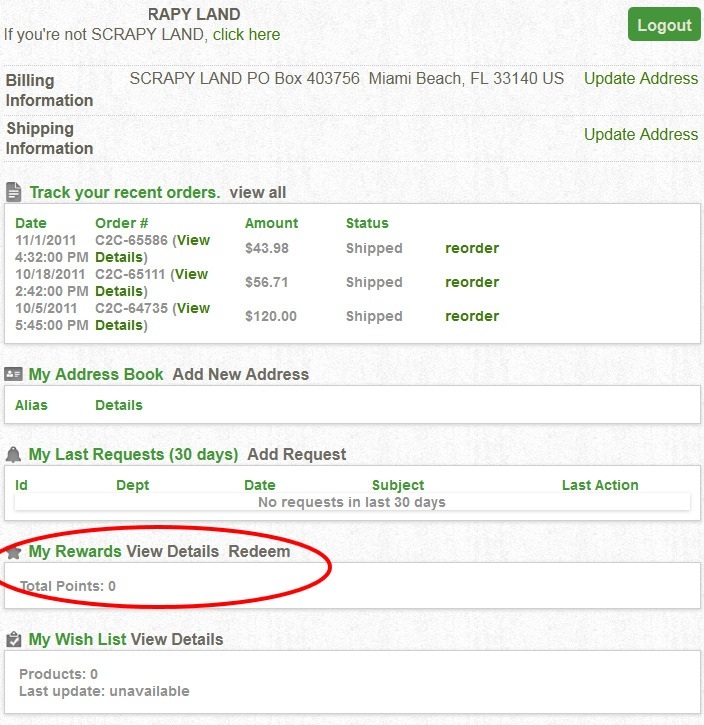 ScrapyRewardz is our unique rewards program that lets you earn credits to be redeemed for free merchandise in the future. For every $1 you spend, we automatically award you 2 credits. After you accumulate enough credits, you can log into your account and redeem for gift certificates to our store. Its that easy! This is our way to express how much we appreciate your business. Enrollment is totally automatic. The moment you place an order you start accumulating credits. We reserve the right to change or discontinue awards program at any time. *Free shipping doesn't apply to reward orders. Actual shipping will be charged. To check your current rewards, simply log into your account and scroll down to the rewards section.